Trump associates links to Russia? WASHINGTON -- President Trump's former campaign chairman, Paul Manafort, has registered with the Justice Department as a foreign agent for political consulting work he did for a Ukrainian political party, acknowledging that he coached party members on how to interact with U.S. government officials. Manafort is the second member of the Trump campaign to register as a foreign agent. In March, former National Security Adviser Michael Flynn registered with the Justice Department for work his consulting firm performed for a Turkish businessman that he said could have aided the Turkish government. Both registrations came after the work had been completed. 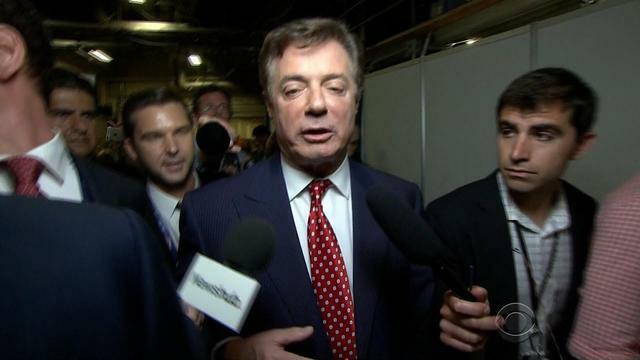 Manafort helmed Trump's campaign for about five months until August and resigned from the campaign immediately after The Associated Press reported on his firm's covert Washington lobbying operation on behalf of Ukraine's ruling political party. He is one of several people linked to the Trump campaign who are under scrutiny by a special counsel and congressional committees investigating Russian meddling in the 2016 campaign and potential coordination with Trump associates. Maloni did not respond to phone calls or emails from the AP seeking comment. The Justice Department rarely prosecutes violations of the Foreign Agents Registration Act. Instead, as in Manafort's case, the department often work with lobbyists to get in compliance. Manafort deputy, Rick Gates also registered for the Ukrainian political work. Gates also served in the Trump campaign. He could not be immediately reached for comment Tuesday evening. Both of the lobbying firms involved in the work- Mercury and The Podesta Group - have since registered with the Justice Department as foreign agents.